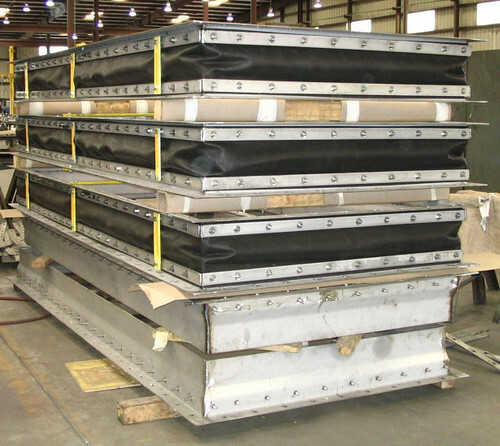 These rectangular fabric expansion joints measure 136″ x 54″ with a weight of 135 lbs each. They were fabricated out of fiberglass fabric with stainless steel frames and are designed for ± 5 PSIG and 400°F. 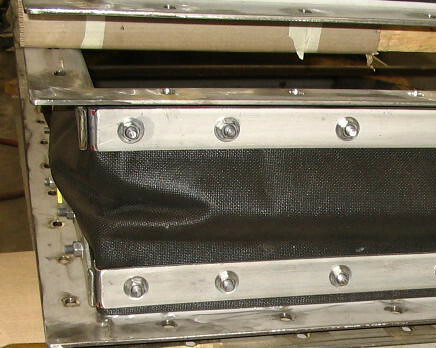 The expansion joints were manufactured according to specific customer specifications.